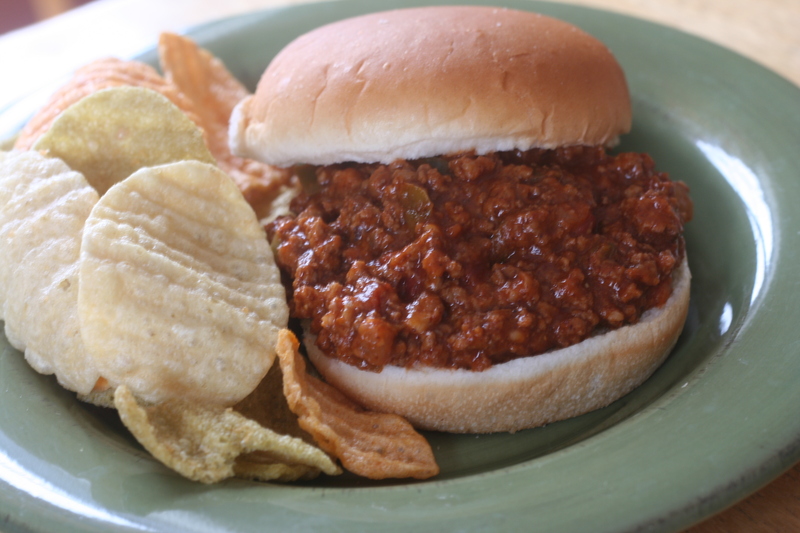 Sloppy joes are an easy, delicious meal that can easily be adapted to serve a crowd! We recently had 20 people for dinner and these sandwiches were perfect. I like to serve them with veggies & dip, fruit, and chips. They are also wonderful leftover. Anyway, this is my take on the sloppy joe! Brown beef, onion, and green pepper together. Add all other ingredients and simmer for 20 -30 minutes. Serve on buns. Makes 6-8 sandwiches.